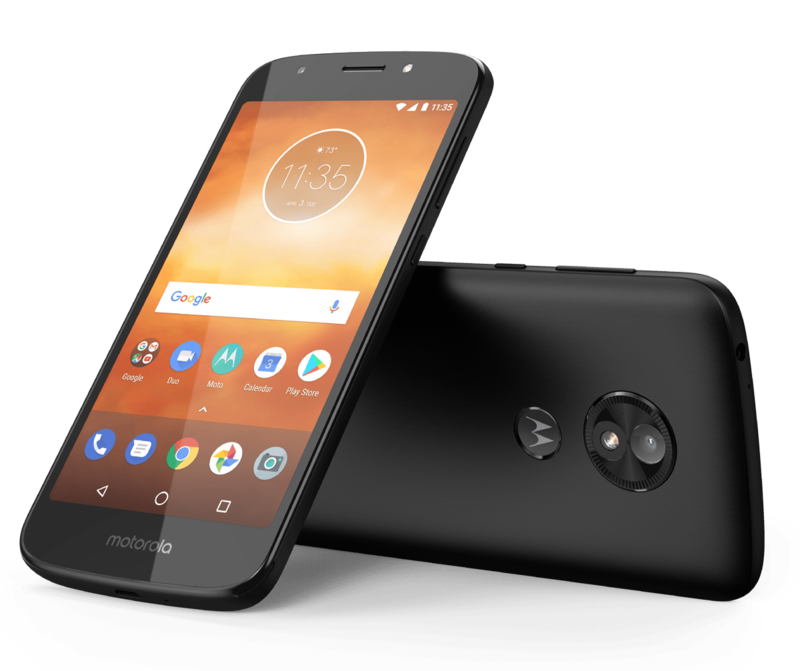 Motorola launched the Moto E5 series back in April 2018 and today, the company has announced the new smartphone in the Moto E series with the name Moto E5 Play Android Oreo (Go Edition). Its the Motorola's first Android Go edition smartphone and we can see more launches by the company in the future. The Moto E5 Plus features a 5.34-inch display and runs on the Snapdragon 425 SoC. It has a fingerprint scanner and a 2100mAh battery which looks smaller for a 5.34-inch display. The Moto E5 Plus is priced at €109 (around $127) in Europe and £99.95 (around $132) in the UK while the sales of the device will start in the UK, Europe and Latin America starting this month. It will be available with Black, Dark lake and Flash gray color options. The Moto E5 Play features a 5.34-inch FWVGA+ 18:9 display with 480 x 960 pixels resolution and is powered by a 1.4GHz Quad-Core Snapdragon 425 Mobile Platform with Adreno 308 GPU. It comes with 1GB of RAM along with 16GB of internal storage capacity that is expandable up to 128GB with microSD card. It runs on the Android 8.1 (Oreo Go Edition) and supports Dual SIMs. The Moto E5 Play comes with water repellent coating (p2i) and has a fingerprint scanner on the reaar side on the M logo. It features an 8-megapixel rear camera with LED Flash and has a 5-megapixel front-facing camera with LED flash. It has a 2100mAh battery and has connectivity options such as 4G VoLTE, WiFi 802.11 b/g/n, Bluetooth 4.2, GPS, 3.5mm audio jack and also comes with front-ported speakers and sual microphones. It measures 147.88 x 71.2 x 9.19mm and weights 145 grams. Moto E5 Plus was launched with a 5.99-inch HD+ 18:9 IPS display with 1440 × 720 pixels and is powered by a 1.4GHz Quad-Core Snapdragon 425 Mobile Platform with Adreno 308 GPU. It has 2GB RAM with 16GB internal storage and 3GB RAM with 32GB internal storage with expandable storage up to 128GB with microSD card. It runs on the Android 8.0 (Oreo) and supports single and Dual SIM variants. It features 12-megapixel rear camera with LLED Flash, f/2.0 aperture, 1.25um. pixel size, Laser Autofocus, PDAF and has a 5-megapixel front-facing camera with LED flash. A 5000mAh battery is available with Turbo Charging and connectivity options available are 4G VoLTE, WiFi 802.11 a/b/g/n (2.4 GHz + 5 GHz), Bluetooth 4.2, GPS, USB Type-C, 3.5mm audio jack, Front-ported loud speaker, Dolby Audio, 3 mics and has a fingerprint sensor on front. It comes with P2i water-repellent nano coating. It measures 160.9 x 75.3 x 9.35 mm and weights 197 grams.